It's all in the marketing. 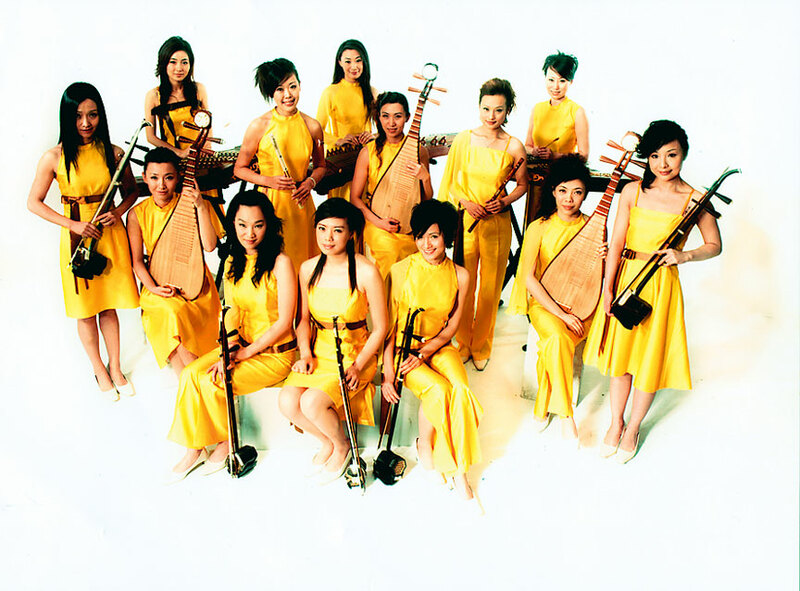 Take a group of young women from Chinese music schools and conservatories, drape them in haute couture, and send them the world over to play appealing melodies on their "exotic" homegrown instruments. 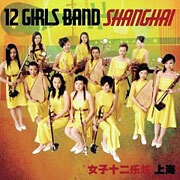 The 12 Girls Band conquered PBS viewers nationwide with its "Live from Shanghai" special during a recent pledge drive, and is a familiar sight to Honolulu audiences. The band has performed here twice in the latter parts of 2004 and '05. And with a major U.S. tour set to start in October to promote the album "Shanghai," don't be surprised if the girls make it three times as they wend their way back to China. The 12 Girls Band will be among featured performers in Shanghai taking part in a group of "Live Earth" concerts being held worldwide Saturday. The concerts will be broadcast on NBC, as well as the Sundance, Bravo and MSNBC cable channels. Check local listings. 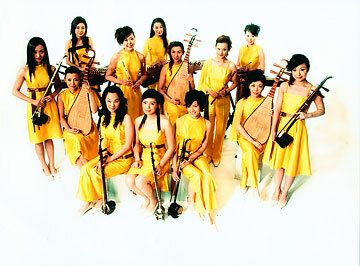 The 12 Girls Band is part of a successful world pop formula, packaging culture, through music and dance, for export to armchair travelers everywhere, sanitized to ensure palatability. Thankfully, on "Shanghai," the well-executed music is genuinely exciting on occasion, thanks to producers Liang Jianfeng and veteran jazzman Bob Belden. Augmented by a backup rhythm section, the melodies contained herein are easy on the ears. There's inoffensive stuff for the PBS crowd: a Bach tribute with an unnecessary rhythm track, the treacly "Titanic" love theme (saved by a closing section when the band channels the spirit of the ship's dance band), some Handel and a take on the famous Puccini aria "Nessun Dorma" that won't threaten the power of Luciano Pavarotti's rendition any time soon. But there are a couple of fine covers, with a showcase performance of Sting's winsome "Fragile," and a knowing nod to the jazz standard "Take Five," with the erhu (the distinctive-sounding two-string fiddle) playing the melody made famous by Paul Desmond. Two of the better tracks are Jianfeng compositions. "Carnival" is a celebratory piece of music that features the dizi (transverse flute) and pipa (lute), and a surprising bit of funk samba called "Loulan Girl" has a zither lead. A couple of live bonus tracks recorded in the titular city take the album to a rousing end. It makes for some stirring music for the masses.